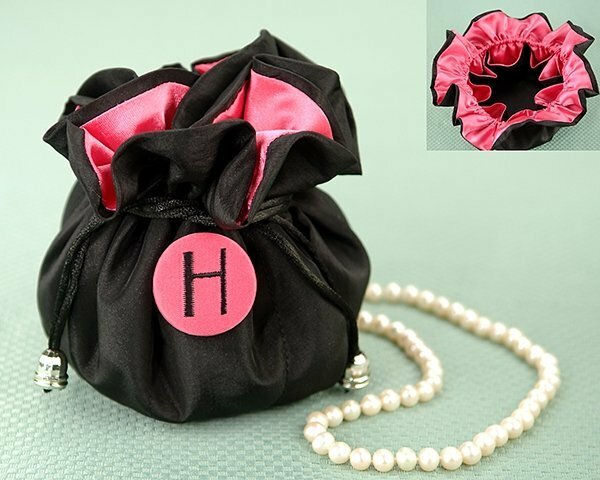 Our cosmopolitan jewelry pouch is made even more special because we add a pink satin snap-on monogrammed button. They'll love the design too, because it features 8 pockets to hold their different jewelry pieces. Line with luxurious pink satin and featuring a padded bottom, this bag is sure to be appreciated. 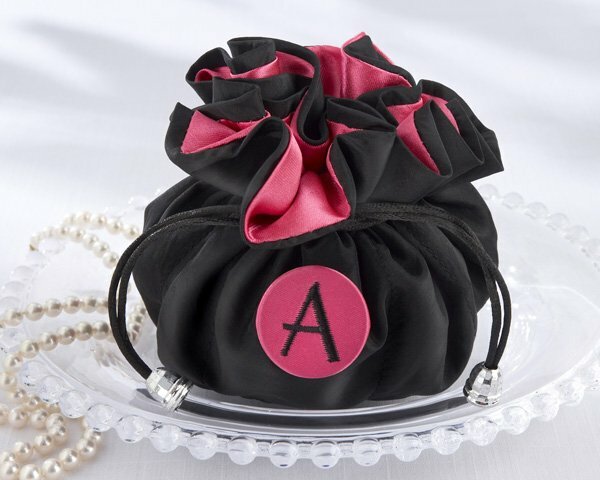 'The Cosmopolitan' jewelry pouch is chic and elegant and the satin monogrammed button makes this a very special gift. Outside is made from low maintenance black polyester. Measures 4' in diameter and 4' high. Approx 9" in diameter when fully opened. 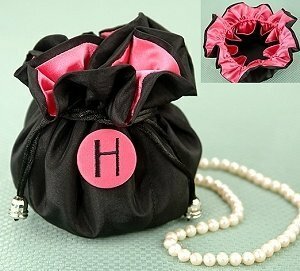 The jewelry pouch is only available in black with pink lining and pink monogram button.